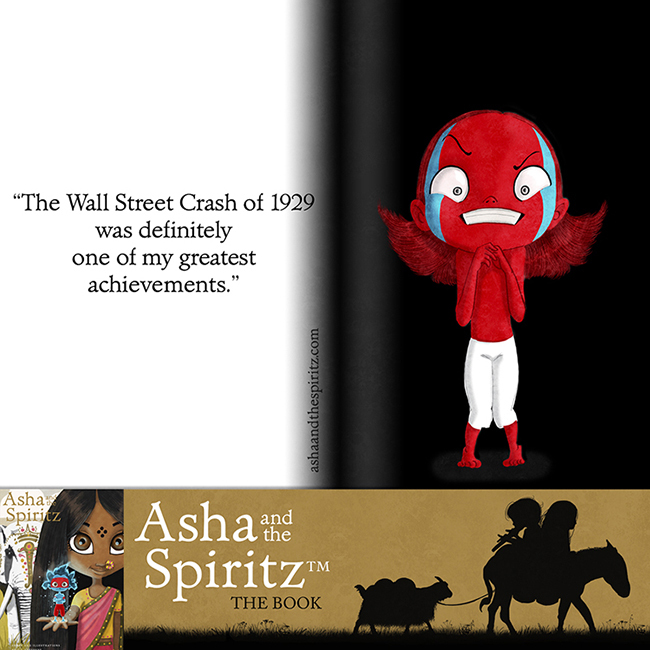 Asha is a young Indian girl, who was born in the Himalayas hundreds of years ago. Joyful, proud and sometimes rebellious, she is a big dreamer. Mocked by the other kids for having delusional ambitions, she is encouraged by her mother to never give up on her dreams. Asha keeps imagining the day when she will escape her isolated village, deep in a valley, to see the world and build her own house by the ocean, which only she believes actually exists. 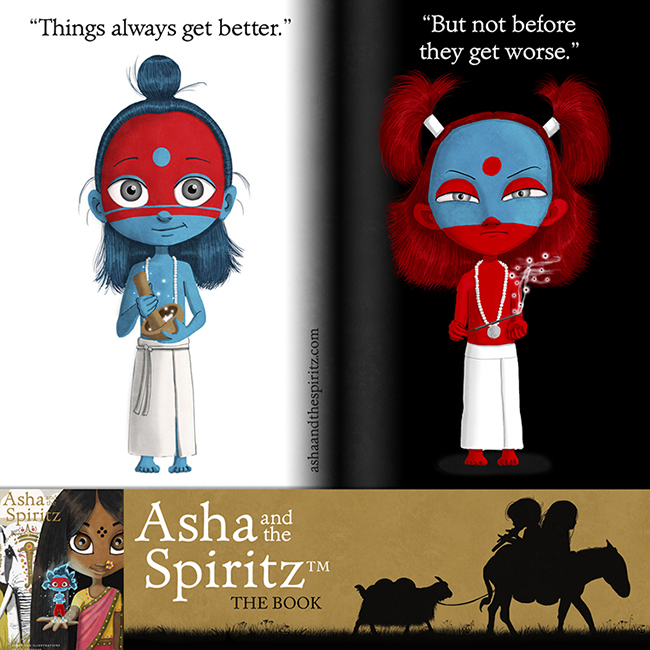 On the day her mother falls mysteriously ill, Asha has to save her life by facing her fears and finally doing what had only been a fantasy—leave her village and cross the Himalayas in search of the ocean. Convinced that she is being watched over by the Gods, Asha will meet different characters along the way and face many obstacles, ultimately walking a path that will take her to her truth. Asha’s late grandmother. Wise, spiritual and caring, she is very close to her granddaughter and teaches her about life, compassion, meditation and having a strong heart. 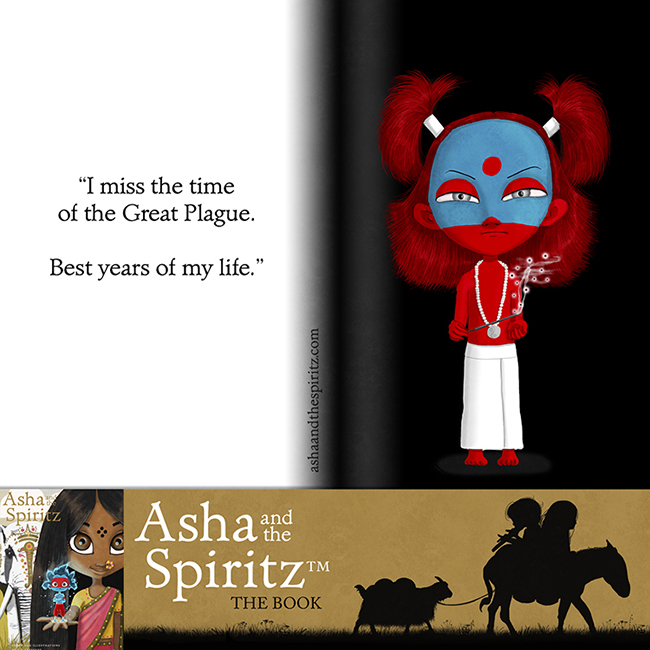 She passes away two years before the beginning of the story, but her memory is very much alive in Asha’s heart. Naani leads and accompanies her granddaughter on this journey through a notebook she wrote and left hidden for Asha long before passing away. Our heroine’s only and best friend is a down-to-earth and candid girl, who always has Asha’s back. Satya is skeptical by nature, and although she doesn’t share Asha’s point of views on matters of faith, the Gods or unrealistic dreams, Satya accompanies her friend on her journey not because she believes that Asha can indeed save her mother, but because she doesn’t want her to travel alone. 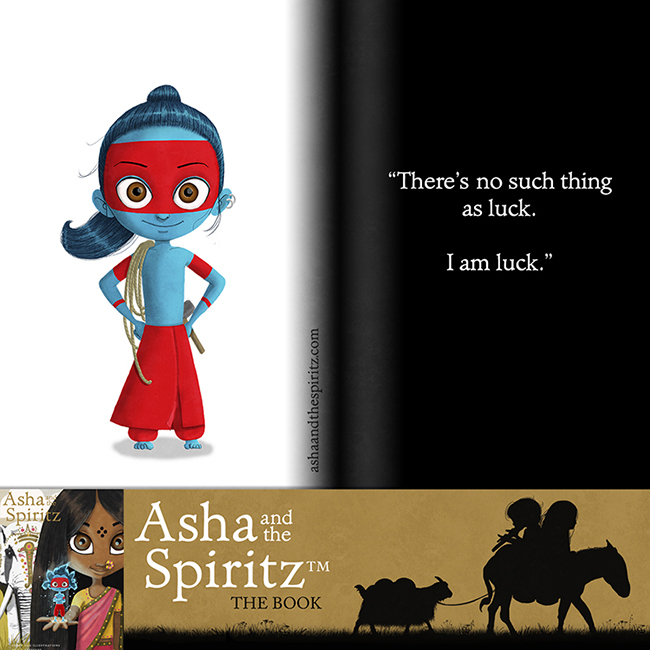 Asha’s very loving and caring mother, Sneha encourages her daughter to believe in her dreams and to never let go of them, because her dreams are part of her truth. 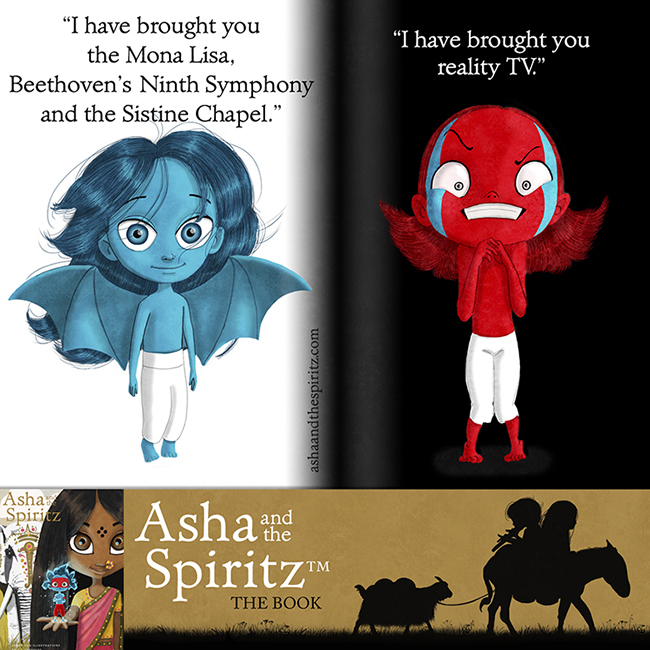 She listens to Asha and is raising her to become a strong and self-confident adult. One day she falls mysteriously ill and the village doctor says that nothing can save her from dying. Although Asha’s father loves his daughter deeply, Anil can’t stand her dreamy nature. Authoritarian, fatalistic and distant, he doesn’t relate well to Asha, leaving her to fear that she will have no one left to talk to or to listen if her mother dies. Abhi is a young boy from Asha’s village. Angry and mean-spirited, he spends his time bullying other kids and especially, Asha. Asha can’t stand him, so when he joins her journey, uninvited, her challenge is finding a way to cope with him every day. This old crone acts as the village chief and claims to speak to the Gods. When the villagers approach her with questions about their lives, she relays the answers of the Gods, keeping the villagers forever in fear of everything. Nirriti has been trying to break Asha’s propensity to dream for many years, but Sneha always protected her daughter. When Shena falls ill and Nirriti suspects Asha of wanting to leave the village, she does everything she can to dissuade her. When the old crone realizes she has no power over Asha, she appeals to some very powerful forces. These two langur monkeys may be brothers, but they never agree on anything. While Safed is optimistic and confident, Kaala is pessimistic and fears everything. 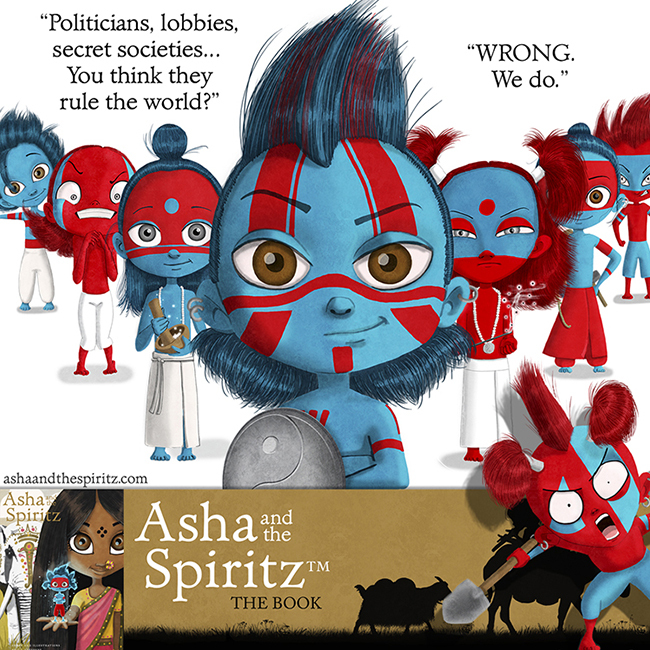 They join Asha on her journey, offering completely opposed insights into the adventure. These little blue and red creatures live alongside us all the time. Their powers have no limits, either helping us or making us fail. Whether we are surrounded by helpful or spiteful Spiritz depends on us and us only. 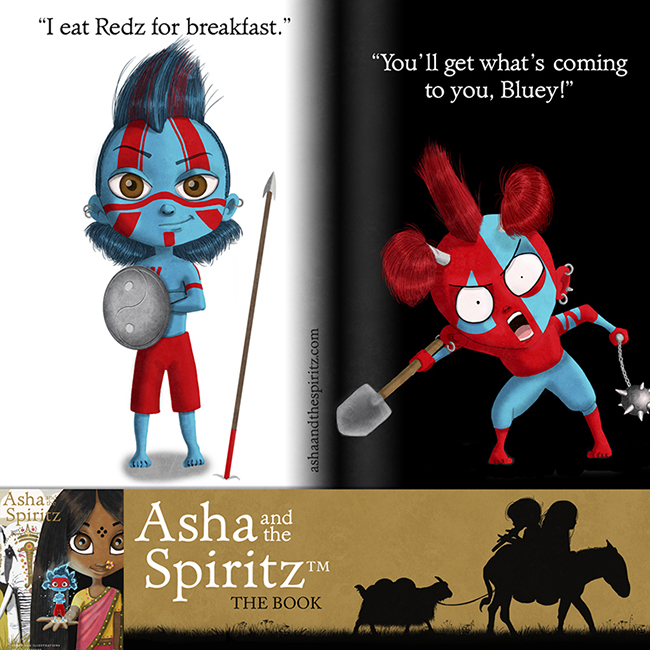 To know who the Spiritz are and what role they play in Asha’s journey, you’ll have to read the book! Subscribe to be kept updated! Have you met the characters yet? 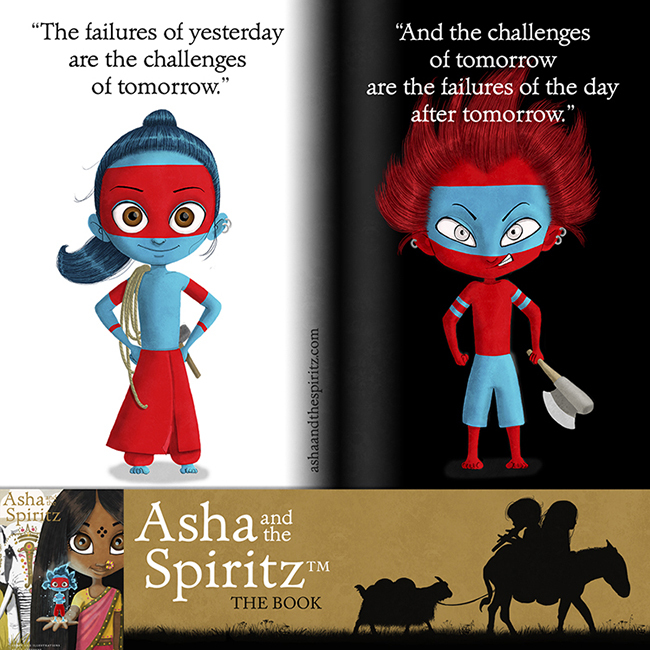 Asha and the Spiritz ebook is releasing today!